I have been sick the past few days with some kind of super bad cold or bug of some kind. It might even be a flu. All I know is that I am miserable and looking for relief. It is so hard to get the restful sleep you need when you cannot breathe properly! Last night I made my personal hot toddy concoction right before bed, and then another when I woke up around 2:00 a.m. I had another this afternoon before laying down again and plan to have another before bed tonight. If I could get The Cajun to properly tend to the puppy while I get some rest I'd probably be doing a bit better, but that's a rant for another day I suppose. Being somebody who lives with all kinds of typical everyday allergies - animal dander, smoke, dust, certain grasses, I truly love this thing. Nasal irrigation and don't let it freak you out! Really, I should wash out my sinuses daily, but frankly if things are working well, I don't really think about those sinus passages much. Right now though, my head is so congested I feel like I have a swimming pool in between my ears, seriously! I've been doing frequent washings today and I can finally feel this pressure lifting as my ears pop, so I'm hoping this head congestion is on the way out. Here's how it works. You can purchase special saline solutions intended specifically for the pot, but I just use just a tad of simple non-iodized table salt, adding only a small amount to the pot. I started off using about 1/8 of a teaspoon, then upped it to 1/4 teaspoon, and finally worked my way up to a full 1/2 teaspoon. I suggest that you start slow. The salt works to break up the mucus clogging up the nasal passages. Top that off with some very warm (but not too hot) and preferably filtered water and stir it up well. Water from the tap is okay, but understand that it probably has chemicals and chlorine in it which can be irritating. Now putting this through the nasal passages admittedly does take a bit of practice. You'll get it. Lean over the sink and tilt your head slightly - as if you are draining water from your ears after swimming. You will need to breath through your mouth! Relax, don't tense up - insert the tip of the spout into the upper nostril and begin to pour half of the water into the nose. It will begin filling up into the maxillary sinus passages up behind the cheeks and eventually will pour out the lower nostril. If your nasal passages are clean and clear, it will come right out. If you are a bit stopped up, it might take a little longer to pass through and around. When you get about halfway through, stop and snort the rest of the water out of your nose into the sink. Then gently blow your nose, trying to keep both sides of the nostril open. Blow gently. If you blow too hard, you risk pushing the mucus into your ears! Repeat with the other half of the water in the other nostril, and yes, this will still work even when your nose feels stopped up! If you are very stopped up, you may feel a bit of pressure - sort of like a mild ice cream headache feels which is a tiny bit uncomfortable but when you are done your sinuses will love you for it! That pressure is coming from accumulated mucus and sometimes pus that needs to be washed out. I know gross, but true. If you are congested, irrigate you nasal passages several times a day. Here's a demo if that didn't make sense. He uses a lot more salt than I do and also does the full pot through only one side of the nose, but it gives you the general idea. I have been collecting essential oils for several years now - I use them in room sprays, as a carpet freshener, for diffusing, and even in the laundry, but most often, in the bath - sometimes just for a nice relaxing soak before bedtime, other times to ease muscle pains from yardwork, or like now, to help soothe cold symptoms. I keep mine in a wood chest, shielded from light. No doubt I love hot showers for sure, especially when I am stopped up, but I am truly a bath kind of gal. I love to just soak in the tub, surrounded by warm water and let the drifting fragrance of the oils filter through my body. When I'm feeling under the weather there is a certain formula I always use that seems to help. 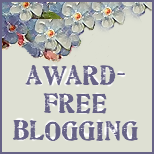 We don't have a wide selection of them around here, just the basics like lavender or tee tree, so I order most of my oils from the internet at Aromaland Aromatherapy. 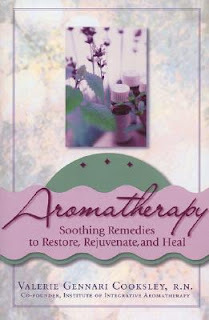 I have been purchasing from Aromaland for several years now, and they are a reliable, source for quality essential oils. Amazon has a pretty good price for a starter set though to get you going. Now, on the onset, you might think that essential oils are expensive, but remember they go a long way. And they come from natural plant sources, so I love that, especially in health applications. These are the two books that I own personally and both are loaded with information for the newbie consumers about essential oils and recipes. 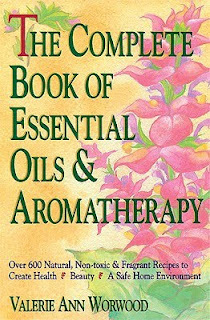 I tend to use the Aromatherapy: Soothing Remedies to Restore, Rejuvenate and Heal the most for recipes - there are tabs and bookmarks and dog eared pages all over this book. I actually own the prior edition, because I've had it awhile, but this is the same book more recently updated. The Worwood book The Complete Book of Essential Oils and Aromatherapy: Over 600 Natural, Non-Toxic and Fragrant Recipes to Create Health - Beauty - a Safe Home Environment is also an excellent resource for beginners and it's quite tabbed up too thanks to a wide range of formulas for the home, garden, applications for children, men and women, pet care, and it even ventures into cooking with essential oils. If you are interested in learning more about aromatherapy with essential oils, I recommend both of these books. Here are a few of my favorite cold and flu formulas using essential oils. Please note that hot baths are not recommended when you have a fever of 103 degrees or higher. This first formula is best when used at the very onset of a cold or flu. I'm a little past that at this point, but I'm still using it. Combine the oils in a small glass bottle or container. For steam inhalation, grab two nice thick towels from the bathroom. Boil a pot of water. Place a thick towel folded on a tabletop to protect the table. Place a large bowl on top of the towel and fill with the steaming water. Add 3 drops of this mixture to the hot water. Sit in a chair and lean over the bowl, tenting your head with the second towel. Lean over and inhale the vapors slowly and deeply for about 10 minutes. For the bath, add about 9 drops to the bath using a carrier of some kind so that it disburses and doesn't sit on top of the water. Just a little bit of body wash will do it, or you can even use honey, bath salts, Castile soap, or a bit of cream, for a milk bath. Place it under the running water and let the carrier and oils disburse into the hot bath. Soak, up to your neck if possible, for at least 15 minutes, dry off, wrap up in some comfortable pjs and a nice thick robe, crawl into the bed and have somebody bring you a Hot Toddy. In a diffuser: Add 3 to 4 drops to the top of the diffuser, or follow the manufacturer's recommendations. You can use all of some of the oils in any combination. This formula works well when you are in the throes of the bug and have a lot of congestion. You should do this one at least three times a day. For steam inhalation, grab two nice thick towels from the bathroom. Boil a pot of water. Place a thick towel folded on a tabletop to protect the table. Place a large bowl on top of the towel and fill with the steaming water. Add the essential oils to the hot water. Sit in a chair and lean over the bowl, tenting your head with the second towel. Lean over and inhale the vapors slowly and deeply for about 10 minutes. These three oils are excellent for sinus congestion because they are pulmonary antiseptics, anti-inflammatory and act as expectorants. They will help to drain the sinuses and kill the germs. Right now and so far, I don't have a lot of congestion in my chest - it's all centralized in my nasal passages. Combine well and rub around the forehead, cheeks, nose, neck and chest areas. 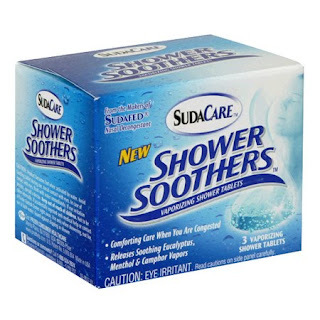 Now, if you're not a bathtub type of person, the Sudafed Shower Soothers are pretty good for a stopped up head and work on a similar concept. You drop a tablet into the bottom of the shower and as the water hits the tablet, it melts away, releasing vapors of eucalyptus, menthol and camphor into the steam from the hot shower. I love them, but they can be a bit strong if you aren't used to that much vapor action, and while I don't think it's as effective as soaking in the essential oils, I've used these tablets personally. I'll bring you more of my favorite aromatherapy formulas on down the line, but for now, if you'll excuse me, I have a Hot Toddy and a bed calling my name. The statements made here have not been approved by the Food and Drug Administration. These statements are not intended to diagnose, treat or cure or prevent any disease. This notice is required by the Federal Food, Drug and Cosmetic Act. All content, including but not limited to, recipe and health information provided in Deep South Dish/My New 30, is for educational purposes only. Such content is intended to supplement, not substitute for, the diagnosis, treatment and advice of a medical professional. Such content does not cover all possible side effects of any new or different health program. Consult your medical professional for guidance before changing or undertaking a new diet or exercise program. Advance consultation with your physician is particularly important if you are under eighteen (18) years old, pregnant, nursing, or have health problems. All information is intended for your general knowledge only and is not a substitute for health, nutrition or medical advice or treatment for specific medical conditions. You should seek prompt medical care for any specific health issues and consult your physician before starting a new fitness regime. 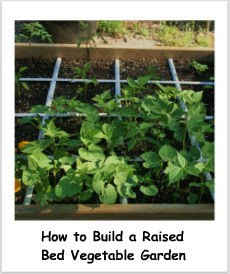 Good ideas here...you are NOT alone. I feel like my teeth are going to burst out of my face and yes there is a swimming pool in my ears....MISERABLE! As I sit here, hacking and coughing, I find this post very timely! Luckily I have a natural grocery store nearby that has a large selection of essential oils. I'm putting a few of them on my list. I am sorry to hear that you are not feeling well. Thanks for all of the natural remedy ideas for this winter's onslaught of germs. Hope you feel better before the new year begins. 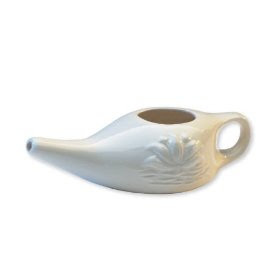 I tried it tonight and I love the Neti pot! I can certainly breathe much easier.